Various anterior views of the heart. 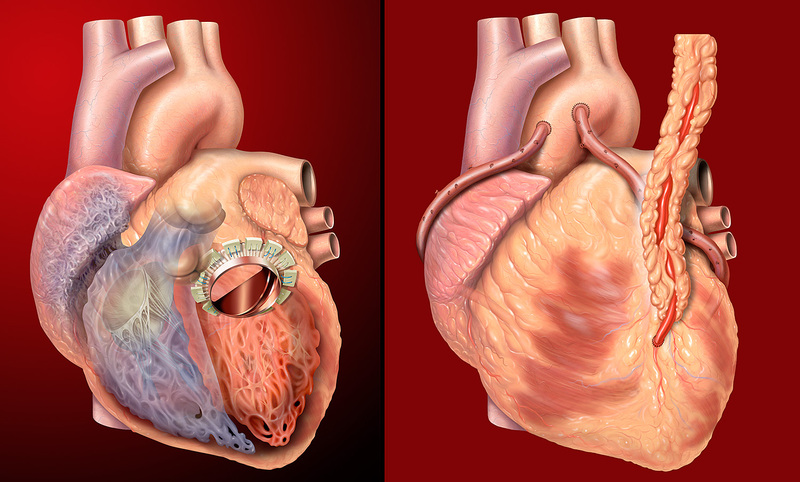 Artificial mitral valve in place, and bypass grafts in place. Photoshop illustrations.